Progressive. Independent. Honest. Let's celebrate Aquarius with this engraved zodiac necklace! 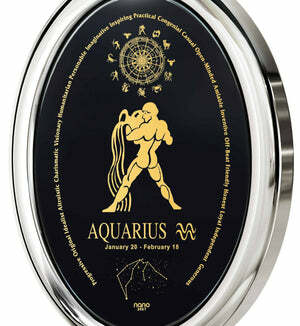 The original Aquarius or water bearer was Ganymede, a Trojan prince that serves the Greek gods as a cupbearer. Even though people born under the sign might seem cold or aloof on the outside, those that get to know one discover that the deeper traits of Aquarius are charisma, imagination and inspiration among others. 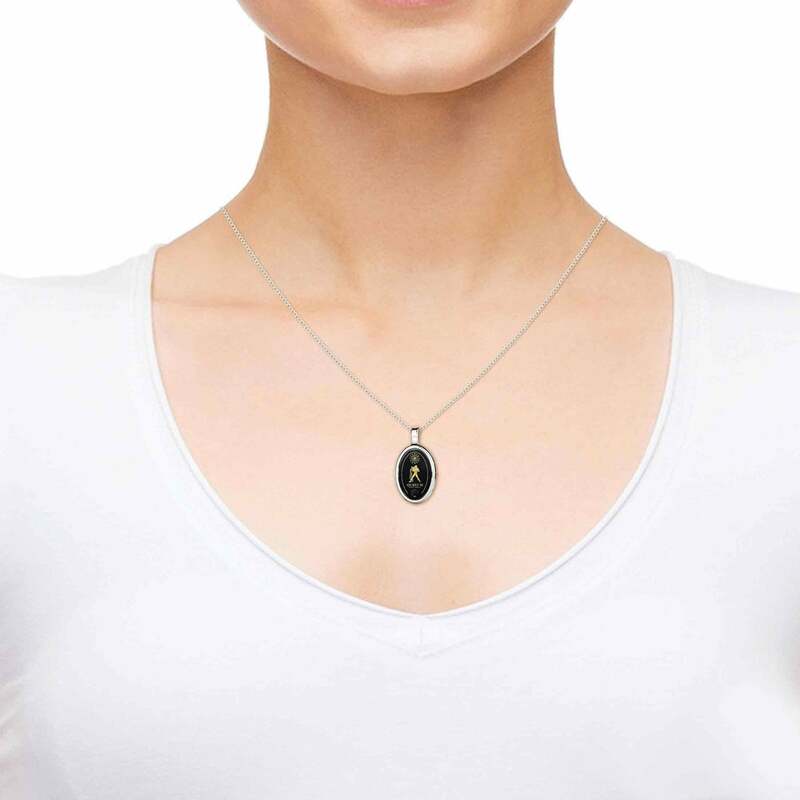 He might not want to show it, but your partner will be thrilled when you surprise him/her with a 14k white gold necklace that showcases just what makes them special. 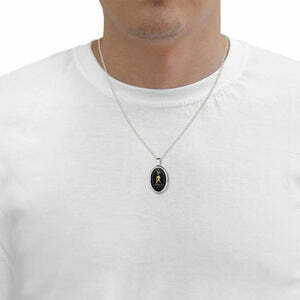 This isn't some average gal or guy necklace. 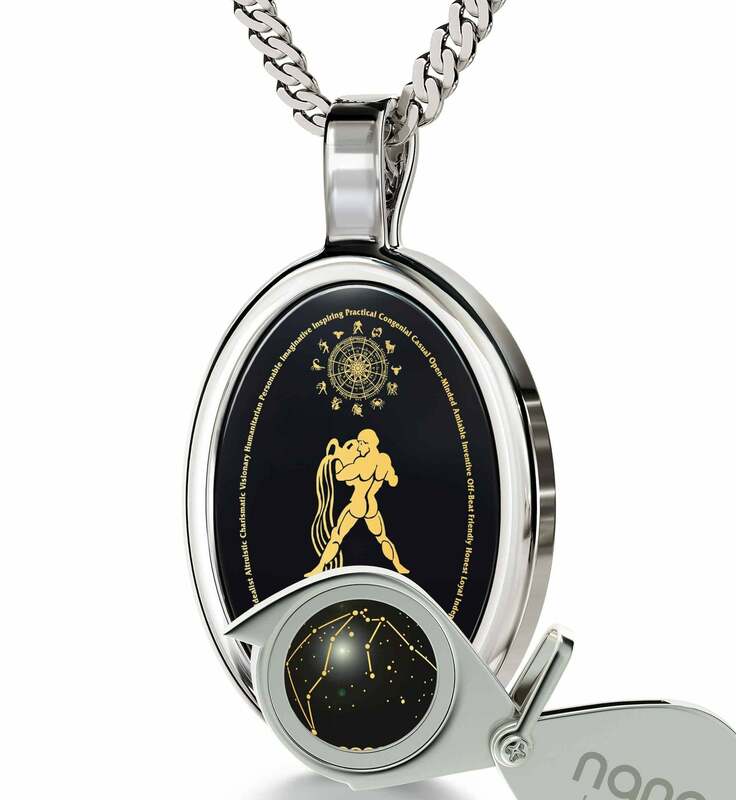 What makes it stand out from the competition is its natural Onyx gemstone imprinted with an artful depiction of the sign, the characteristics of Aquarius, its Greek name, symbol, birth dates and constellation. 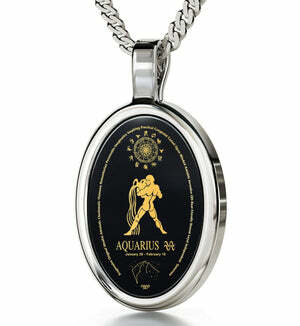 The Aquarius you love will surely be taken aback when you tell them the process used to inscribe such tiny artistic details is unique, unavailable anywhere else. All Nano jewelry is of top notch, as reflected in the 14k white gold frame and 14k white gold Italian Curb chain, but we promise that the splendid 24k gold imprint will never fade away or lose its shimmer. Guaranteed. Great women’s and men's presents shouldn’t come without accessories, and we've included a customized magnifying glass that will help him appreciate even the smallest details. 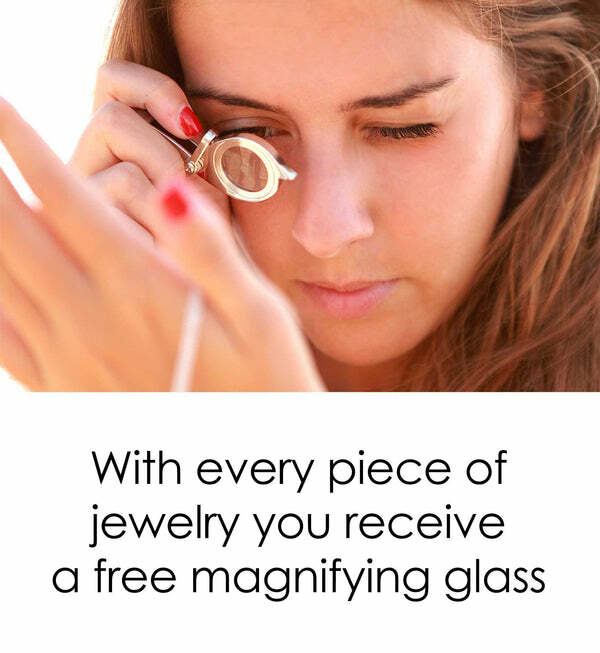 We believe that what you wear should not only look great, but needs to harbor a deeper meaning as well. 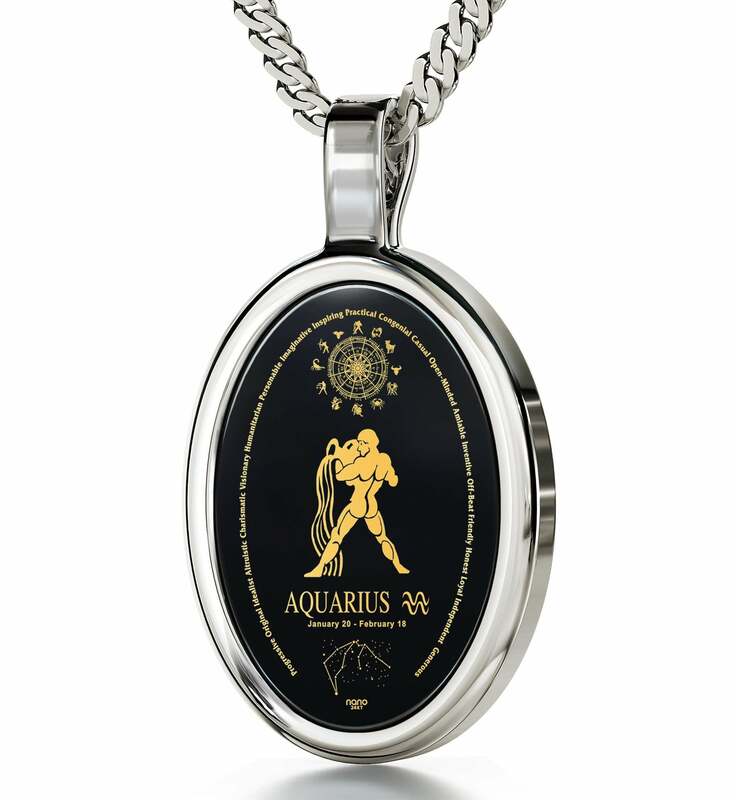 This piece of Aquarius jewelry is a perfect example, blending a bold design with the defining characteristics of the sign. Whether they happen to embrace their sign or try to walk another path, they're sure to look great if they wear this necklace while doing so.